Hold the club in front of you. Open the face. Grip the club like you normally would. 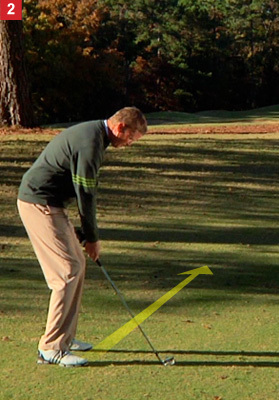 Point the club to the target and your feet to the intended line (left of the target). 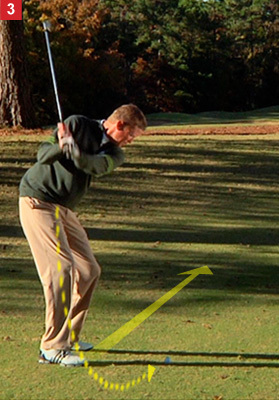 Swing the club down your feet line. The ball will cut from left to right around the tree. 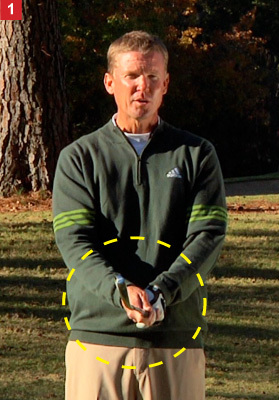 My swing tendency is to be too “wristy”. – After reading your commnet Chris I’ve decided two things: 1. Charlottesville has treated this little lady well. It’s all the walking to and from Darden I do. 2. I do miss Nashville and the lovely people who live there (especially you and Adrienne). 3. If you go on a vacation it should be with me & Ryan 4. I can’t count either! Oh, and 5. You two are the best!